OSWEGO, NY – On March 22 the Oswego Firefighters participated in the annual St Baldrick’s Day event at the SUNY Oswego Campus Center. Their team consisted of eleven Oswego Fire Department members and three youngsters named Hunter Hourigan, Jack Hall and Mason Hall. 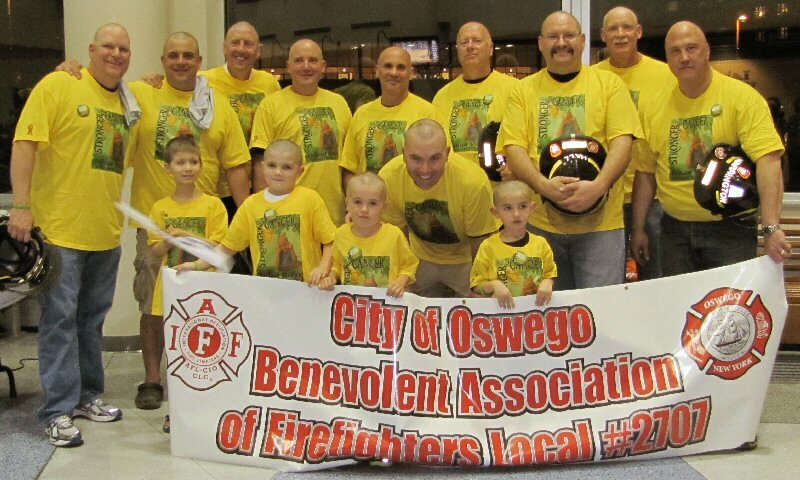 As a team they were able to raise more than $13,300 in donations to shave their heads, which will go towards the fight against childhood cancer. The team also had an honorary member named Julian Ross join them at the event. Julian is a local child who is currently fighting a form of cancer called Stage IV Neuroblastoma. One of Julian’s dreams is to become a firefighter when he grows up and he was able meet the firemen, get a tour of the westside fire station and take a ride on one of their fire trucks to the event. 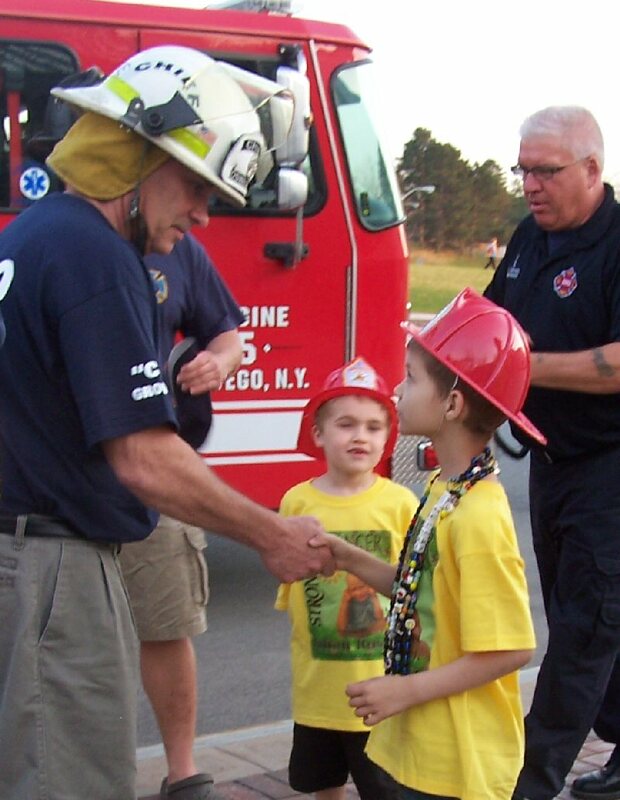 The Oswego Firefighters ask the public to think of children like Julian and give from their hearts to one day find a cure for this devastating disease.